Fenway Park, located in Boston's Fenway neighborhood, is America's smallest major baseball league park and a Boston treasure. Fenway is where you can see the Boston Red Sox home games throughout baseball season, special winter sports events, and big summer concerts. When Pearl Jam, U2, Paul McCartney, and James Taylor come to town, Fenway is where they perform. With tickets easy to get and Fenway Park super-easy to reach by subway or on foot, plan to attend at least one exciting game, concert, or show during your Boston visit! If you're visiting Boston, the easiest way to get great seats for the game you want to see is to order online before you leave home. Just choose your game, pick your seats, and click. Goldstar is the best source for Fenway Park discount and half-price tickets. You can sometimes find tickets for concerts as well as other events. Availability varies - but you're always smart to look. 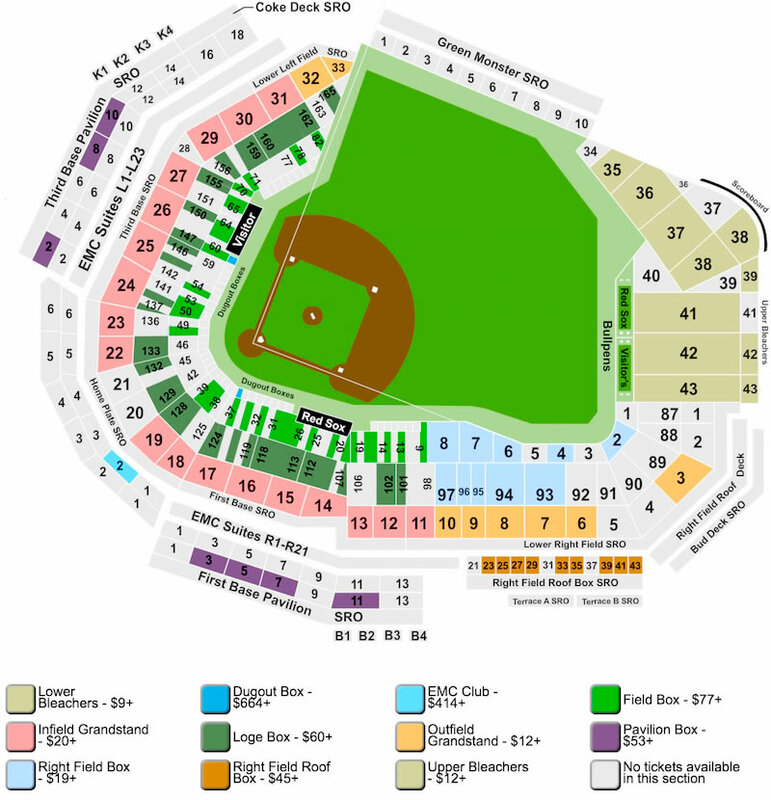 Fenway Park's official seating capacity is 35,692 for day games, and 36,108 for night games. The biggest crowd ever to pack the park was 47,627 back on September 22, 1935, when the Red Sox played a doubleheader against the New York Yankees, although crowds nearly that large were typical during the early 1930s. The huge crowds came to an end after 492 people died less than a mile away in 1942 when a horrific fire swept through the overcrowded Cocoanut Grove nightclub. This tragedy led to the creation of more stringent fire codes in Boston and across the nation. Want to see Fenway Park up close? 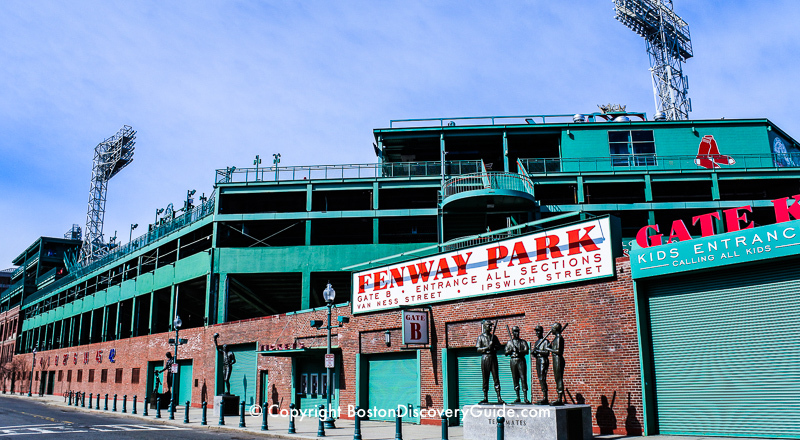 Go on a Fenway Park Tour. 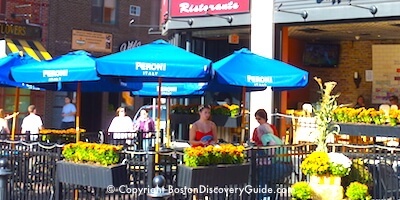 The area around Fenway is also home to many of the city's top sports bars - perfect for lunch or dinner before or after a game or concert. House of Blues, one of Boston's top concert venues, is just across the street. 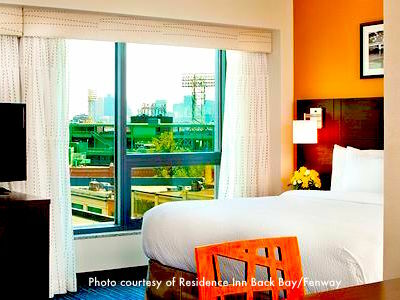 Where should you stay near Fenway Park?